School ICT and support services from NCI Technologies. Empower, engage and inspire. We understand that every school is unique, with distinct problems and requirements. So, to provide the best School ICT and support will work closely with the teachers at your school to help them achieve performance targets and raise standards by ensuring that we provide the perfect learning environment for your pupils. An engineer is assigned to your school so that you get to know them and build a relationship, this means that the engineer can fully understand your school ICT requirements. We thrive on being able to offer the newest emerging technologies and services and we welcome a challenge! There is no problem too big or too small for us to handle, if you don’t see what you’re looking for on our website please get in touch. 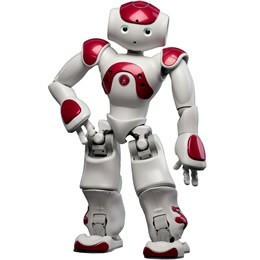 The latest revolution in teaching & learning is ‘NAO’ the Humanoid Robot. At the forefront of UK Education! It is a pleasure to have such a dedicated and committed team of professionals working for the school who excel in their field but are able to explain complex ideas in simple terms. I would recommend NCI in the highest possible terms.